Thank you for your letters. It was a bit overwhelming, but made me realize the pain you have lived with for 30 years. Now that I look back I am aware that we were children then. I considered myself old at 30, and of the doctors I was the only one who had had any residency training (in surgery at Boston City Hospital). If I were in such a position again I would write to every family in my squadron when there was a casualty, but at the time I wasn't smart enough. Jim's room was nest door to mine in the hooch. 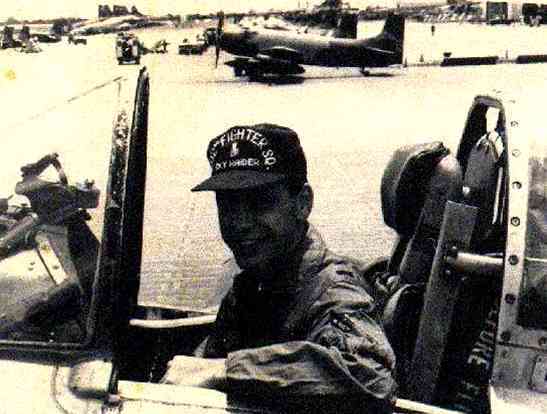 I was the flight surgeon for the 602nd, and I roomed with a Lt. Col. 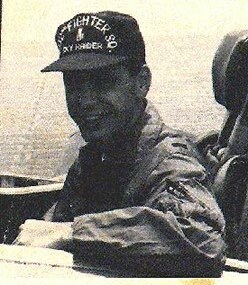 I always thought that they put me in with Dave Andrews because he was older than the other pilots and was far from rowdy. We became good friends and have remained in contact to this day. I'll give some of my memories of the base and life on it. First of all, a good reading of Catch 22 would give you the overall atmosphere of NKP. The Air Force men were much happier there than in the US. People were doing what they had been trained for and the general spirit was very good. That is to say that, while the uppermost thought in all of our minds was to go home, people still had their sense of humor and enjoyed their friends. Each of us had his own way of dealing with our stresses, but we wrote home, read, went to the movies (an outdoor theater), made model airplanes, played softball, had stereos, took pictures, and went to the officers club. There were bands there at night - I remember that I first heard "Bad Moon" there. The 602nd had a concrete slab in front of the hooch, and we scrounged enough material to build an air-conditioned bar there for the squadron.Jim and I built a ping-pong table in the screened-in area. The food that the Air Force sent to SEA was very good quality, but was ruined by the Thai cooks. I lost weight until I got a small charcoal hibachi and used to cook on the walkway along the hooch. Jim sometimes joined us. Then the club had a cook-your-own steak set-up, and the food improved considerably. Jim was always a gentleman, and I have always remembered that he wanted to go to Veterinary school when he got out of the Air Force. Probably he and I became friends because neither of us were quite as wild as most of the others. We each had our own jobs which took up most of our time, but it was a pleasure to be with him around the squadron. I'm running out of room in this letter; so I'll continue later.